So... in light of all the dark grayscale painting sketches I've been doing, I thought I'd do a lighter one. But then, I dunno, things happen. I can't stop myself sometimes. I changed the composition about 4 times, and then I decided I needed to see it with color. Once was a night scene, and then I did this one and it's more to the original plan on being "light". 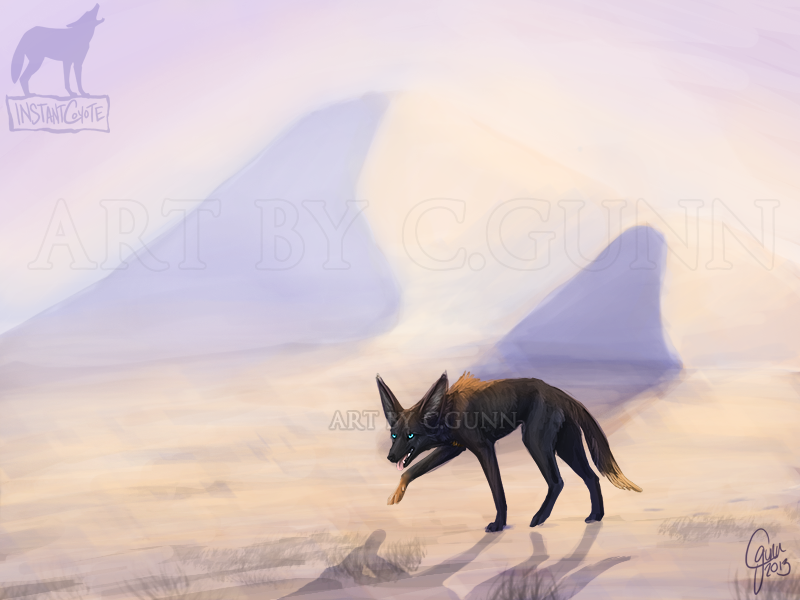 xD So here is my character Sirus, the almost completely melanistic black backed jackal wandering through the desert.